Other organizational sponsors include: Wildtracks Monkey and Manatee Rehabilitation Centre, Belize Bird Rescue, and the Belize National Institute of Culture and History. Growing up in the jungles of Belize and having recently moved to the US, Fred has always had a love and admiration of nature, animals, and art. Dinosaurs have been his top interest and passion since the age of 5. After so many years of self-taught practice, Fred has now started taking his art skills to the freelance world and personal projects (examples below). To the Mountain! is the first professional job he’s tackled and says it was great fun to try something new. Fred is glad to finally give back to his home country and hopes the kids enjoy the book! 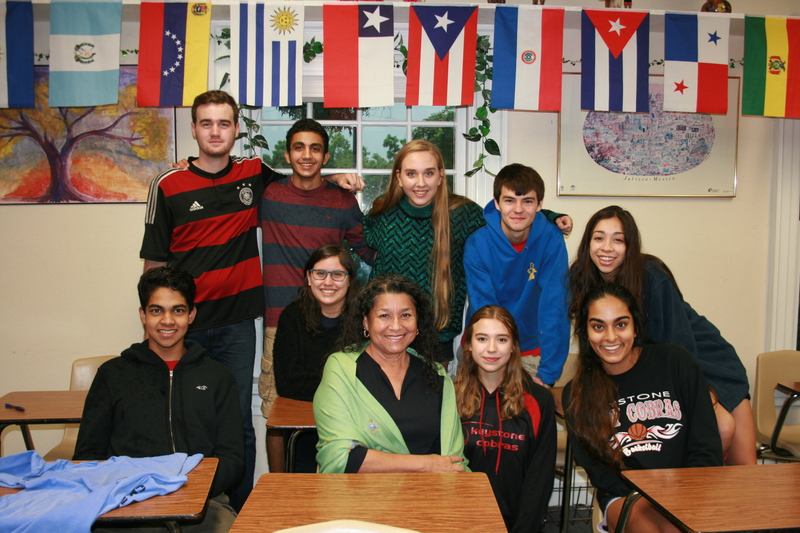 Mrs. Boryczka and her Spanish 4 AP Language and Culture students at Keystone School provided the Spanish translations. Keystone School is a private and nationally recognized institution in San Antonio, Texas with an accelerated PreK-12 curriculum. Visit the Translation Page for more information. Mr. Tzib is a native Yucatec Maya speaker living in San Antonio, Belize. Mr. Tzib studied anthropology at the University of Wisconsin at Madison. Visit the Translation Page for more information. Sylvia Batty works for the Belize Institute of Archaeology and National Institute of Culture and History. She is a native Beliean, having grown up at and around archaeological sites throughout the country. Rebecca Friedel is a PhD student at The University of Texas at San Antonio (UTSA) studying archaeology and archaeobotany. She is interested in how humans of the past interacted with the plant world and modern community outreach. Leah McCurdy holds a PhD in anthropology. She teaches and researches archaeology, art history, and ancient architecture. She has excavated at Xunantunich with the Mopan Valley Preclassic Project since 2008. Sally McCurdy is a retired Technology and Operations Executive. When she is not teaching Aquacise or playing golf or bridge, Sally volunteers with her local Women’s Club, church, theater, and civic organizations.